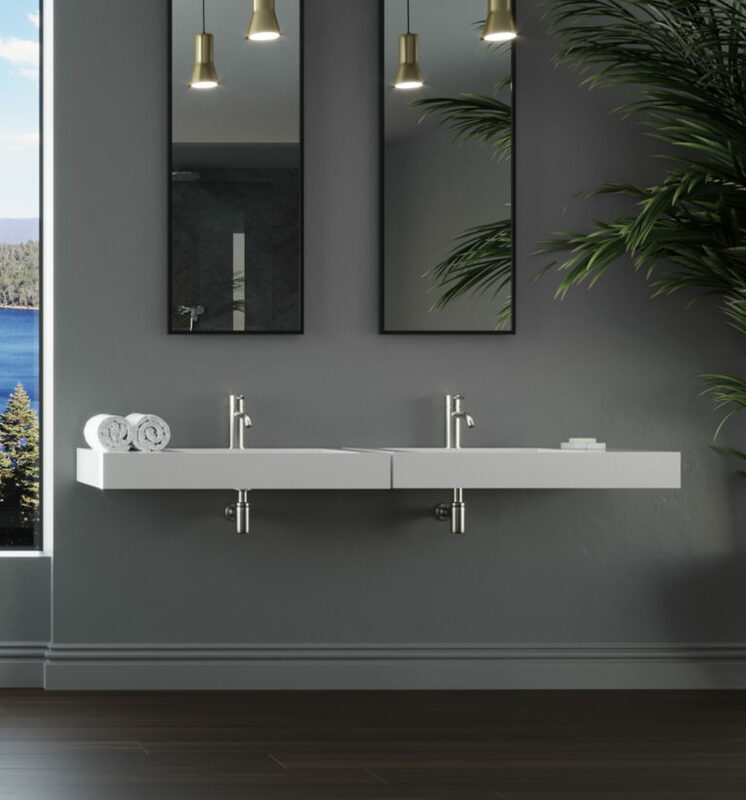 Make a bold statement in your modern bathroom by showcasing the WT-04-B. This asymmetrical sink features a sleek, tapered sink with counter space to the left for the display of your favorite soaps, perfumes, and lotions. This modern sink mounts directly to the wall, providing a look as though it is floating in the room. This keeps the floor area below available for baskets, stools, or foot traffic. The simplistic design of this sink calls for a single-hole faucet mounted in the center back of the sink portion. This architecturally interesting sink is an eco-friendly choice as well. The natural minerals and acrylic polymer used to construct this stone resin make it non-toxic, non-porous, and able to hold up to moisture and humidity. This durability ensures that this sink will be a showpiece in your contemporary bathroom for many years to come. Strong, stainless steel mounting hardware is included with this easy-to-hang piece of bathroom decor. Select between the matte white and glossy white finish options when ordering this wall-mounted sink for your home.